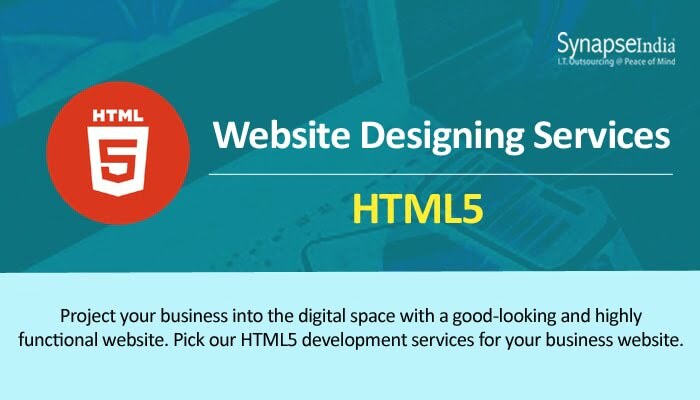 Website designing services offered by SynapseIndia help businesses achieve their goal through eye-catching designs that leverage technologies like HTML5. The company caters to businesses of all kinds and sizes by providing them with web design, user interface design, and website enhancement services, among others. A number of critical factors should be analyzed and considered while creating a web design to achieve certain business goals. First of all, the enterprise should know what their specific goals are and how they plan to achieve it in the digital ecosystem. This is especially important in deciding what kind of digital platform an organization needs to deploy. It may be a full-fledged enterprise website, a marketing channel, or a regular blog. Secondly, businesses should be well-aware about the trends in the industry – specifically in their business niche. However, these factors can be easily addressed and incorporated by choosing the right web design agency. SynapseIndia has repeatedly proven its mettle as an unrivalled website design agency. The company has a team of articulate web designers and graphic design specialists. The designers have enormous technical experience that help them efficiently deploy a number of latest design tools. They create every design with unparalleled patience, which makes the design captivating even to people having an eye for detail. Moreover, their inherent ability to solve problems promptly. The designers use technologies like HTML5. The markup language enables the designers to create marvelous design for every single client.